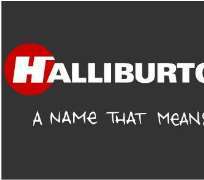 Halliburton: Julius Berger Facilitated With $190m Bribe? As investigations into the $190 million Halliburton bribe money continued, it has emerged that principal character in the saga, Mr. Jeffery Tessler, a lawyer, allegedly used construction giant, Julius Berger Nigeria Plc to distribute the sum of $11 million to two former Heads of State, a former chairman, Board of Trustees of a political party; a frontline political party and a former Deputy Senate President. Contacted, spokesman of Julius Berger Nigeria Plc, Mr. Clement Iloba simply said: “We are not involved,” and declined further comments. While one of the former Heads of State allegedly got a total $6 million in three installments through one of his aides who is presently in detention, the former Board of Trustees chairman got $2 million and the former Deputy Senate President got $1 million. The frontline political party was said to have been paid $3 million. Already, it was gathered that following the revelations, two Executive Directors of Julius Berger Nigeria, were invited by the panel and quizzed on the roles the construction company played in the disbursement of the bribe money. They were however left to go after interrogation. During the interrogation over the Halliburton money, Vanguard was told that more shocking revelations of how Julius Berger had facilitated and assisted many prominent Nigerians including the two former Heads of State, to collect millions of dollars settlement money from abroad, were discovered. The source refused to give further details as the mandate of the panel did not include such. Meanwhile, former Group Managing Director of the Nigeria National Petroleum Corporation, Mr. Jackson Gaius-Obaseki was again invited by the panel last weekend to shed more light on certain distribution of millions of dollars of the Halliburton money which he was said to have facilitated. When Vanguard ran into him after the interrogation, Gaius-Obaseki told Vanguard not to believe all what the panel was saying about him or alleged roles he played in the scam. He said his spokesman during his tenure at NNPC, Ndu Ughamadu, will furnish Vanguard with the true position. However, our sources disclosed that Obaseki's confession and those of others earlier interrogated have been found to be true but added that the trip by the panel members to Switzerland and UK will concretize further discoveries that would lead to the invitation and interrogation of the named former Heads of State and other prominent Nigerians. Vanguard had reported exclusively last month, that two former Heads of State were implicated of partaking and supervising the sharing of the bribe money while new findings have shown that the total bribe money shared was $190 million as against $180 million earlier thought. The two former Heads of State and a former Vice President benefited to the tune of millions of dollars while a former security helmsman and brother of a head of state were also implicated of having played critical roles in the sharing of the Halliburton bribe money. On how the former leaders were implicated, a source had told Vanguard that one of the Heads of State whose account was credited severally with various sums of money withdrew $2.9 million in one fell swoop, adding that this was what gave him out. In the case of the other former Head of State, it was discovered, based on the interrogation of some of those arrested, that he used several companies of his cronies and friends as fronts into whose accounts several millions of dollars were deposited. Consequently, the source said the panel would invite these prominent Nigerians to answer all they know about the payment and disbursement of the $190million Halliburton bribe money provided Mr. President gave the Okiro panel powers to do so considering their standing in the society. On how the bribe money initially put at $180million got to $190million, the source said that since the company was desperate to get the contract for the construction of the $1.9 billion Liquefied Natural Gas project, it went about settling all those it thought could stand in its way and that based on a list collated and supplied it by Jeffery Tessler, the British Lawyer who it has been discovered has dealings with most of these persons, the money jacked up to $190million. A former Inspector-General of Police, the heir to the throne of a Northern emirate and a former MD of a second generation bank had been invited based on evidence before the Okiro panel.